Five campaign groups have sealed a pledge to protect national parks and make them more accessible. 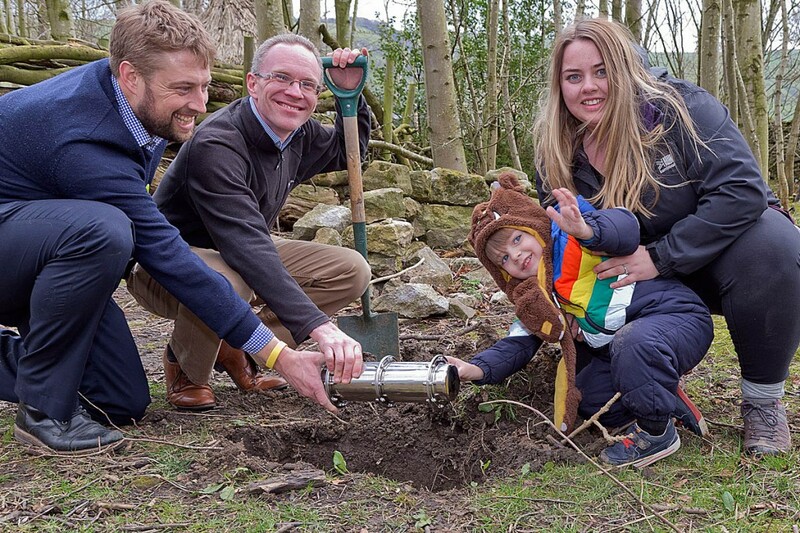 A time capsule containing the pledge was buried in the grounds of a Peak District youth hostel at a gathering to celebrate the 70th anniversary of legislation paving the way for the parks’ creation. The capsule, which also contained message of support, was placed in the grounds of Castleton youth hostel at Losehill Hall. Five of the original campaigning groups that were instrumental in moves that resulted in the passing of the National Parks and Access to the Countryside Act 1949 gathered to mark the anniversary of the legislation that led to the setting up of the UK’s national parks. The Peak District was the first of England and Wales’s parks to be established, two years after the passing of the act. Representatives of the Campaign for National Parks, Campaign to Protect Rural England, the Open Spaces Society, the Ramblers and the YHA (England and Wales) took part in the event on Friday. Led by the Campaign for National Parks, the organisations pledged to work together once again to make the 13 National Parks of England and Wales more accessible, as well as to campaign for strengthened protections. Organisers of the event said, despite their status, national parks face considerable threats from fracking, mining, quarrying, road building, military training and housing developments. There is also the further challenge to make these areas of countryside accessible for everyone. The 1949 act and the establishment of the national parks is recognised as one of the seminal achievements of the environmental movement from the past 100 years. Today they attract about 100 million domestic and international visitors each year, contributing millions to the economy. 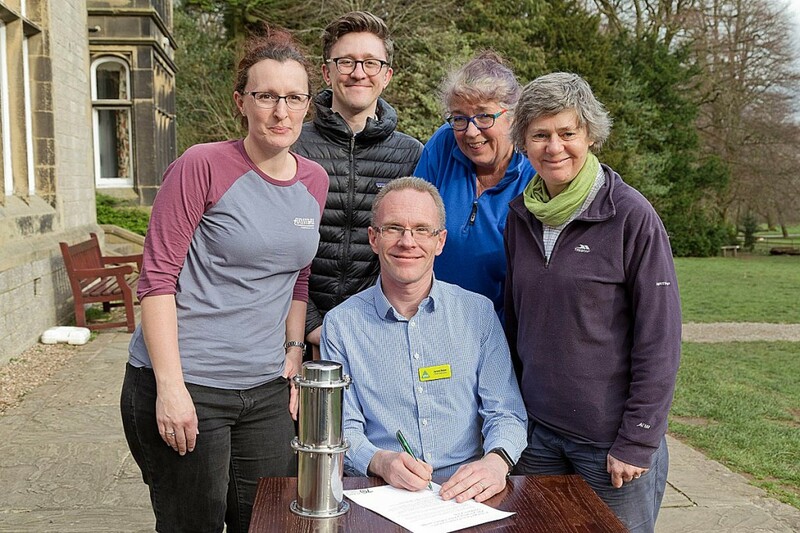 Janette Ward, chair of the Campaign for National Parks said: “I’m incredibly proud to be a signatory to this pledge to campaign for a bright future for national parks. It’s absolutely brilliant that the pledge has bought together such a diversity of people who all share the same passion for the countryside. Recent Campaign for National Parks and CPRE research has revealed that too many people face obstacles in getting to the parks through lack of adequate public transport, cultural barriers or a lack of information. Ninety-three per cent of national park visitors use a private car, creating further problems for these popular areas of countryside. Lack of access means some of the most disadvantaged members of society are missing out on the associated health and wellbeing benefits. Ramblers chief executive Vanessa Griffiths said: “Our national parks and national trails are an incredible asset created so all of us can enjoy the countryside. “Today, more than ever, we are aware of the physical and mental health benefits of connecting to nature through walking, yet for too many people, accessing national parks is still difficult or impossible. Kate Ashbrook, general secretary of the Open Spaces Society, Britain’s oldest national conservation body, said: “It is shameful that our most precious wild landscapes should still be under threat, 70 years after they were given the special protection for which we all fought. The organisations pointed out that research has shown that spending time outdoors can reduce the risk of developing depression by 30 per cent, as well as benefiting self-esteem, mental and physical health. James Blake, YHA (England and Wales) chief executive, said: “Without the achievement of the act to create national parks, millions of schoolchildren would have been denied the transformative power of adventure in these fantastic spaces.